For where Market 100 is located and how close it is to Georgia Southern University, the prices here are reflective of the service we are given most of the time. However, it is a big plus to live somewhere so cheap and so close to campus. Thanks so much for the review, James! We are glad to have you as a resident! "These are great apartments in a great area. They are a bit older and that brings some issues, but the maintenance and office staff are always friendly and quick to respond to such issues. I have loved my time here and will always recommend it to others." Oluwatomiyin, thank you for your review! We're so happy that you call Market 100 your home. Thank you for recommending us! Pretty good apartments. Management is okay, they are as flexible as they can be. Quiet area surprisingly considering it’s mostly college age students. Thank you for your review, Vanessa! We are so glad our team has been able to help make living at our community a great experience for you. Please let us know if we can do anything additional for you, we're always happy to assist! Thank you again for your feedback and for choosing Market 100 as your home! Great staff! They are very kind and considerate. Always very warm when they greet you. Great location for a college student also. Close to everything. Thank you so much for your kind review, Marquita! Our team takes pride in knowing that we have been able to exceed your expectations and help make Market 100 a great place to call home! As always, don't hesitate to stop by the office, email us, or call the leasing office if we can assist at any time! The apartments are very economical and they give utilities free. Their maintenance services are prompt and everything has been good so far! I like the fact that a police car is always there so it feels safe. Well maintained apartments. Staff are approachable. Close to the university, which would be an advantage. The apartment has good amenities too. Hey Samantha, interesting can be good--it's all perspective. If you experience another roommate issue, feel free to let us know and we will do our best to assist you. Please stop by the office to voice any concerns you may have regarding the staff so we can make improvements for you, Best. I haven’t lived here long but so far I am enjoying living here so far. The staff is really friendly are always eager to assist me when I go into the rent office. They are also very accommodating and understanding. Hey there Jasmine, we enjoy hearing you like your stay. Our staff is always ready to assist you with any concerns you may have. If there is every anything we can do for you, please do not hesitate to let us know. Have a wonderful day! I really enjoy living at the market 100. For startes the apartments are nice. The kitchen & washing room were up to my standards. I love the training & computer room as well. Hi Tyrone, so glad you enjoy all the wonderful amenities we have to offer and your apartment. We really enjoy having you live with us! Hope you have a wonderful day! Hi Alphonso, your kind words are awesome and thoroughly appreciated. Happy to have you as a resident. Have a great one! Hello Olubunmi, in regards to the resident feedback, we have multiple platforms to get updates--ranging from texts, emails, flyers, and even phone calls. We do hate to hear you aren't satisfied with the level of customer service you have received. Please feel free to stop by the office anytime to voice your concerns. Best. Hey there Kayla, be sure to give us an update on how the transfer is working for you! We hate to hear you have an issue with one of our employees, please feel free to stop by the office anytime to express your concerns. Have a good day. I liked it out here . We had good memories but I think I’m ready to move in a real apartment. It’s very quiet and clean here so we really have no complaints. This is a standard apartment. It’s not the best, but it’s not awful. The apartment that I was placed in had pre-existing damages. I wish the apartment came more updated. Management is pretty nice. Hi there Lindsey, we are sorry to hear you haven't had the best experience. Please stop by the office anytime to talk about it. Have a wonderful day! I been in my apartment for only 4 months and absolutely love it. I have great roommates who I get along with, it’s peaceful, so peaceful I renewed my lease! Hi Clensha! Super stoked you renewed! We love it here too and are happy you have amazing roommates. Can't wait to spend another year with you! Great place for the price love my roommates and the invronment chill and laid back! 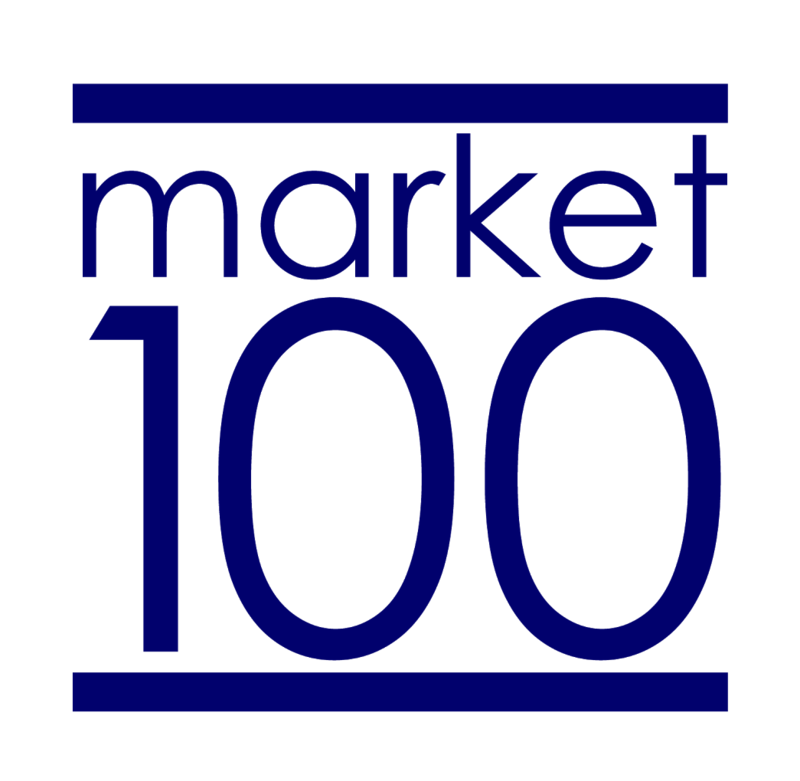 If you ever need to live on a budget and don’t mind other people then market 100 is for you! The staff are phenomenal and very helpful. I am just moving in and look forward to the experience. I love the fact that the atmosphere is diverse and not just college students. It is a family environment as well. Hi there Daphne! So happy to hear our staff is helpful. We like to think Market 100 is quite the diverse community with all walks of life. Hope your day is awesome! Everything had been alright while living at Market 100. The staff are nice and caring. They have many fun events free goodies as well. The only complaint i would have is the noise levels can get really loud thursday through the weekends. Hey Keith, stoked you enjoy our staff and the resident events! We hate to hear your apartment gets noisy on the weekends so next time it happens, just give us a ring and we would love to help you out! Have an awesome day! When I first moved in I was in the worst apartment possible. I had never seen something so disgusting in my life. However when I went to management, about to ask for my money back and live somewhere else, they found me a somewhat better place and it’s been ok. I don’t stay very often because the place doesn’t smell good but it’s somewhere to call “mine” for a few months. You get what you pay for. Hi Allison! Please send me an email at meredith.edge@tpco.com. I'd love to help! Great place to live if you’re a college student. Close to campus, smaller Walmart, variety of restaurants, and walking distance to several walking trails. Very friendly staff!! the facilities is good and the staff are supportive. The environment is nice and good for the students. Security is also good. Glad that i choose market 100 among all these housings. Thank you Niraj! We are glad you chose us as your new home! I love it here. The rent is cheap and the people at the front office is very helpful. Maintenance people are very genuine when it comes to repairing anything that goes wrong in my apartment. Hi there Elisia, hearing you love it hear is music to our ears! Please let us know if we can every make your stay more enjoyable! Have a great one!